Austria’s FM4: Is Trump Going to Make a Deal on Immigration? On Tuesday, the White House tried to counter concerns about Donald Trump’s fitness for office by showcasing him in a 55-minute meeting with Republican and Democratic legislators on immigration. The show has led some US outlets to assert that Trump is ready for a deal establishing the legal rights of almost 800,000 young undocumented immigrants, “Dreamers”, even as his Administration is threatening them with deportation from March. However, the politics is far messier. 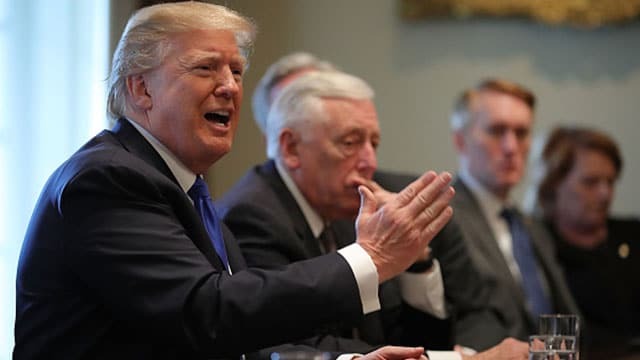 Soon after the meeting, Trump made clear that he will only accept the bill if it also includes full funding of his Wall on the US-Mexican border. Meanwhile, his hard-right supporters are angry that he would even consider legislation on a bipartisan basis. I spoke about the issues with Austria’s Radio FM4 on Wednesday. PreviousBBC Radio: Is Bannon Finished?